The most widely used science reference of its kind: More than 7,000 concise articles covering more than 90 disciplines of science and technology, all in one volume. Based on the content of the world-respected "McGraw-Hill Encyclopedia of Science & Technology," 9th Edition. More than 1600 two-color illustrations. Features numerous cross-referenences, an extensive index, and bibliographies. 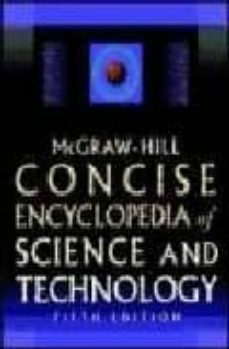 Appendix with biographical listings of important scientists, listings of scientific symbols and units, mathematical notations, fundamental concepts, and more. Extensively updated with 1500 new and rewritten articles. Includes coverage of the hottest areas of science and technology, including biomedical science, chemistry, cosmology, information science, environmental science, nanotechnology, and theoretical physics.